Is Media Attention Hindering The Development Of Artificial Intelligence? As the line between tabloid media and mainstream media becomes more diffuse, news items such as Ebola, pit bulls, Deflategate, and Donald Trump can frequently generate a cocktail of public panic, scrutiny, and scorn before the news cycle moves on to the next sensational headline. According to Robotics Expert and self-proclaimed “Robot Psychiatrist” Dr. Joanne Pransky, the same phenomenon has happened in robotics, which can shape public perception and, by extension, the future development of robots and AI. 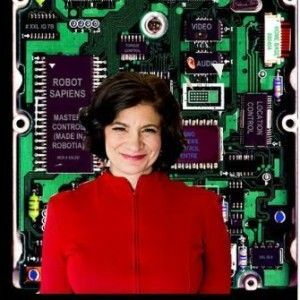 Pransky has spent much of her time trying to present an accurate depiction and provoke thoughtful discussion about robotics that separates fact from science fiction, as elaborated upon in this well-written TechRepublic article. To that end, she’s spent almost her entire career educating the public on the real issues facing robots and robotics. Showing an actual robot in action, she believes, is the best way to educate the public about the potential, and limits, of robotics. Pransky noted that YouTube videos, such as the Boston Dynamics Big Dog robot videos, are great for presenting robotics in a positive light. Yet a similar video, showing a human kicking the BigDog robot to test its stability, can also present a negative image to the general public — that robots needs to be kicked around because they’re dangerous, unintelligent, or won’t work otherwise. The area that Pranksy believes is most misconstrued is the media’s depiction of autonomous weapons in the military. The biggest problem, she said, is that most people now believe there are completely autonomous weapons in use. What the public overlooks is, even if the military did have autonomous robots, it doesn’t necessarily mean those machines would be 100 percent unsupervised by humans in the decision-making. The larger issue, she believes are the related moral issues, which need to be discussed. On a broader scale, the recent concerns about uncontrolled AI expressed by Stephen Hawking, Elon Musk, and Bill Gates shined a lot of negative light on robotics, Pransky said. She recognizes Musk, Hawking and Gates as some of the top minds in the world on the topics of future AI and robotics, but notes that “they’re not sociologists or psychologists”. Given that, Pransky said the public should take their views about the future of robotics with a grain of salt. Looking to the future, Pransky sees the need to address the public’s concerns about robotics before the industry has a “Pearl Harbor moment”. She believes that robots are still “out-of-sight, out-of-mind” for much of the general public, and thinks lawmakers need to consider how the robotics industry will develop before the urgent, last-minute need arises.